When initally joining the boating scene, most folks have a dream, to travel distant shores or sailing off into the sunset. For many it never gets much beyond a dream, but for some, who are prepared to leave the protection of a marina berth, the sky is the limit. In a marina, we enjoy all the comforts of home: water, electricity, telephone and TV. It sometimes seems hard to even bother to move. But a boat represents a major investment, and if it remains unused it will deteriorate. To protect one&apos;s investment and keep the dream alive, it is important to get out and have a go at making the dream come true. Take out some friends for a day, or try an overnighter in a small local cove. Even when started on a small scale, you will learn a few things about your boat and soon find whether it fits your needs. Small beginnings can lead to great expectations, and after some experience you&apos;ll determine if your boat is really equipped sufficiently to sustain you once you leave on that lifetime cruise into the sunset. Few boats come from the builder prepared to such a degree. No matter where you are on this planet, you need water. A boat owner needs water for two very important reasons. First to float the boat and second, to drink. These requisites can be combined by having a reverseosmosis watermaking system onboard. 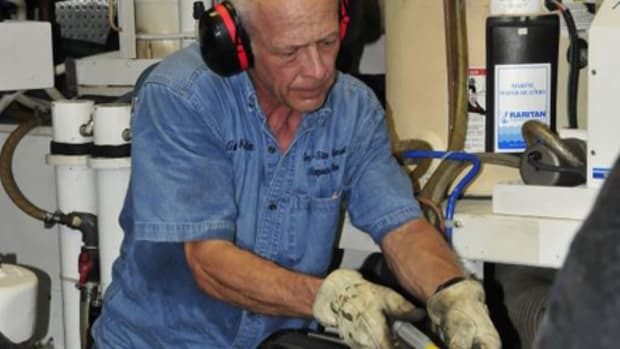 Watermakers produce freshwater from saltwater in quantities enough to support crew needs, depending on machine size, and run off various forms of electrical power. Although watermaker prices have come down in recent years, they are still costly, and require space not always available on every cruising boat. It is generally assumed that water is readily available in all developed countries. But as fulltime cruisers over the years, we have found this not to be the case. Most marinas, unless one is willing to pay dearly for its services, understandably frown upon, or refuse, cruising boats coming alongside to fill their tanks. Although public docks with potable water are sometimes found along the way, in our experience they are usually few and far between. 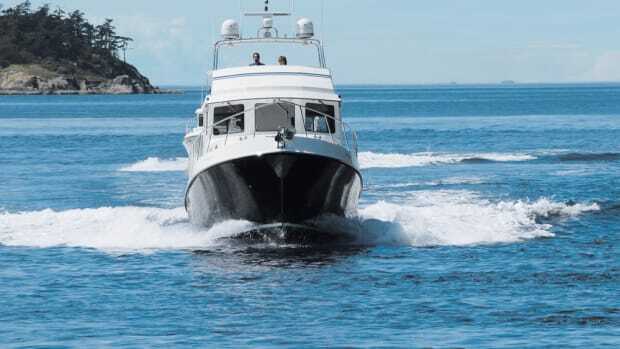 Aboard Dreamworld, our 40-foot custom trawler, we have a 24VDC, 5gph watermaker. It works fine when under way, but we find its use in an anchorage requires us to run the generator, certainly not an ideal situation. We also worry what would happen to our freshwater supply if this equipment is out of commission for any number of reasons. We recently completed an extensive 18-month cruise around Central America. During this trip we found the problem of a good source of water much more difficult. In Third World countries much of the water is totally undrinkable. Even in pumped water systems, the exposed plumbing is under constant exposure to baking sun, nurturing the growth of all sorts of nasties. River water is an option, but that too is sure to contain dangerous parasites. Fortunately for us, for much of our cruise these areas were in their "wet seasons" and we were able to supplement our onboard water supply with rain caught in an upturned sailing dinghy. However, we lost much of this captured water during the transfer by bucket from dinghy to the water tanks. After a short time I had a better idea. At the same time, our boat&apos;s fabric bimini top needed replacement, after years of exposure in the tropical sun. Rather than replace it with another fabric bimini, I decided that my son Simon and I could design and build a hardtop bimini that could serve several functions. As we watch our pennies, we would try to use as much of the existing structure as possible. This included the original radar mast and the bimini&apos;s tubular support frames, all constructed from one-inch stainless steel tubes. My goal was to build an economical, reasonably light, permanent hardtop that could also catch rainwater and plumb it directly into our water tanks. As with most biminis our frames were not originally level, a requirement if uniform support of a new top was to be achieved. Also, the radar mast was not originally part of the old bimini, and being six inches lower than the original, would need to be incorporated into the new design. We planned eventually to enclose the hardtop to protect us from the elements while running the boat from the flybridge. Any full enclosure would have to be made so it could be released quickly in the event ofserious weather as our stability is compromised with the increased windage of the additional structure. A final consideration was that all of the materials had to be readily available and the project simple enough for amateur construction. We planned to do the project right on the foredeck of Dreamworld, and use the leveled frames as permanent jigs. Adjusting the height of the fixed sockets and moving the hinged sections of the frames leveled the bimini structure, held in place with a length of 2" x 2" wood tied to the underside of the frames. The new hardtop measures 8 feet wide by 13 feet long, including an aft section that stepped down across the radar mast. The top consists of three halfinch panels of exterior-grade hardwood plywood. The panels are laid across the frames with the plywood edges pulled down by clamps to form a degree of camber. Longitudinal hardwood strips, with one narrow edge beveled to 15 degrees, were then joined and glued to the underside of the plywood on the outside edges. The ends were done similarly, but curved to follow the camber of the hardtop. After the glue dried, the square edges of the plywood were sanded to match the camber angle as well. In the next step, hardwood strips were jointed and glued over the previous strips, their lower edges kept level, capping the plywood edges. The upper edges of these strips are higher than the plywood surface of the top, angled inward and forming the edges of the rain catchment system. The total top was then sheathed inside and out with fiberglass cloth, using West System 105/205 resins, and then faired with two-part epoxy paste. We painted the structure with Awlgrip, and installed the new hardtop using stainless steel brackets around the frames. We installed two flush through-hulls at the lowest points on each side and connected them with plastic pipe, concealed in the flybridge helm. It was a simple matter to make a quick-release pipe to reach the tank filler. We installed the radar, GPS and other antenna directly onto the new top, and added an overhead console, where we put a monitor connected to our laptop navigation computer. We made the flybridge enclosure using a mini walkingfoot commercial sewing machine we purchased. After learning how to use the machine, the job was easy. We sewed ropes into the edges to enable them to slide into the fitted extrusions. Cost of the enclosure was less than $500 and the hardtop cost us $700. The water catchment system has been in continuous use for six months and proven very successful. We get gallons of water even in light showers. In a good, long downpour, we can quickly fill our 160-gallon tanks.